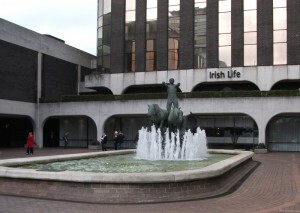 The Chariot of Life often locally referred to as “The Mad Milkman of Abbey Street” stands in front of the Irish Life building at Lower Abbey Street, Dublin. The water sure looks like milk! 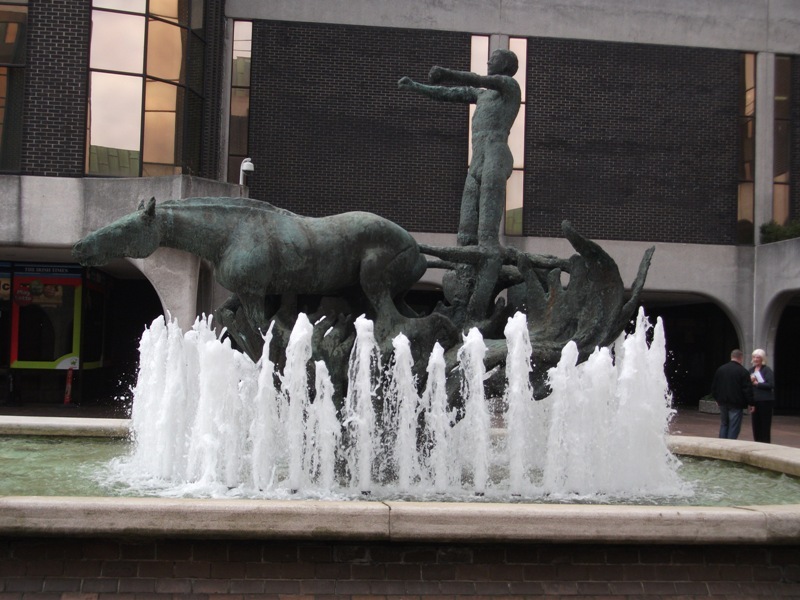 A Charioteer in a fountain is a sculpture by the Irish sculptor Oisin Kelly (1915-1986). 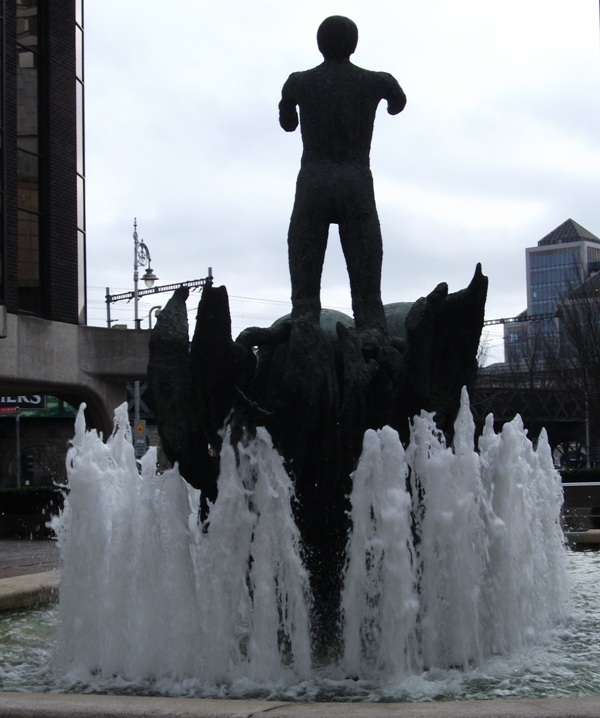 Some say he is fashioned after Aengus Og, member of the Tuatha Dé Danann and probably a god of love, youth and beauty. 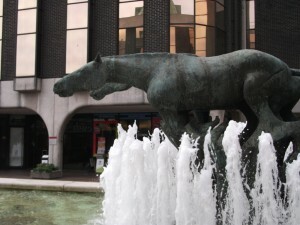 Oisin Kelly was born in Dublin, the son of William Kelly and Elizabeth (née McLean). Until he became an artist in residence at the Kilkenny Design Centre in 1966, he worked as a school teacher. He initially attended night class at the National College of Art and Design and studied briefly in 1948–1949 under Henry Moore. 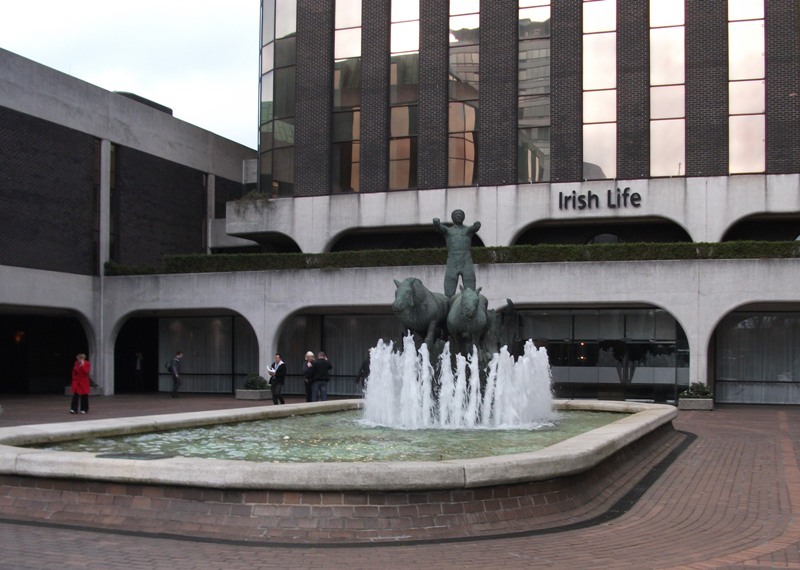 His other work includes O’Connell’s statue on O’Connell street, and the Children of Lir at the Garden of Remembrance. This entry was posted in Ireland, Photography, Sculpture on June 10, 2012 by Grannymar.